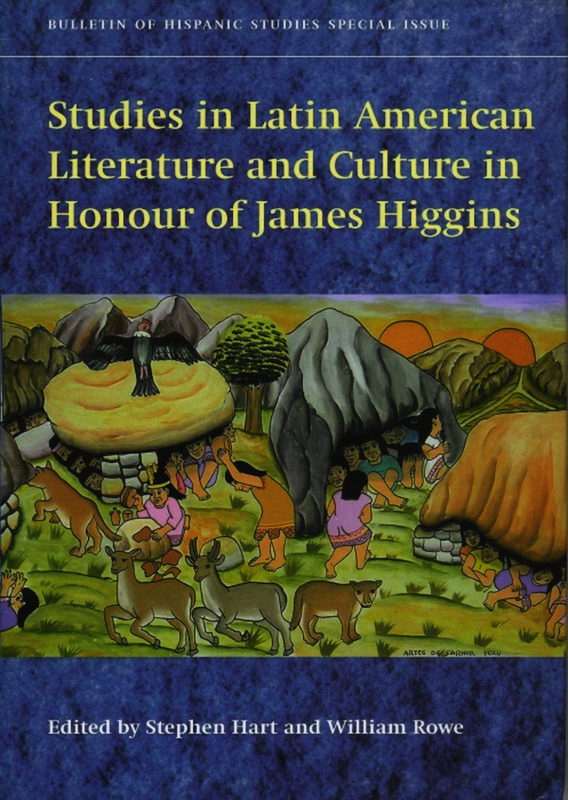 The singular dedication of James Higgins to the study of Peruvian literature and culture is attested in the variety of work gathered here in his honour. His distinguished contribution to the shaping of this field began with his pioneering study of the poetry of Cesar Vallejo. The essays of this volume are gathered into two groups, the poet and the world, and narrative and social orders. There are a number of common threads that link them together and to themes which contribute to the notional map of Peruvian and Latin American literature and culture with which James Higgins’ own work is concerned. Distinguished authors in this volume include Astvaldsson, Belli, Bueno, Castro-Klaren, Cornejo Polar, Ferrari, Harris, Hart, Howard, Lambie, Millones, Moore, Puccinelli, Reedy, Rowe, Shaw, Silva-Santisteban, Sobrevilla, Swanson, Vilanova, and Wood. Stephen Hart wrote his doctoral thesis on Cesar Vallejo and spent several years teaching at the University of Kentucky before taking up his present post as Professor of Hispanic Studies at University College London. He is General Editor of Tamesis, and has recently published a Companion to Latin American Cinema (2004). William Rowe is Anniversary Professor of Poetics at Birkbeck College. He is the author of ten books, including Memory and Modernity: Popular Culture in Latin America (Verso), and Poets of Contemporary Latin America: History and the Inner Life (OUP). He was a founding editor of the Journal of Latin American Cultural Studies, and is the founder and director of the Contemporary Poetics Research Centre.